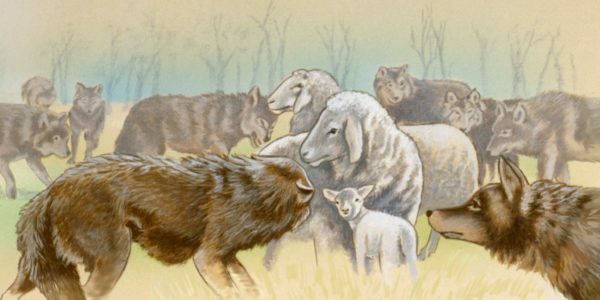 Like Wolves to the Fold | "Northern Crossings"
Find them, fix them, flank them, and finish them is the motto of mobile military doctrine when referring to a military force.. I have been reading about battles over the years and not much changes since the days of the Assyrians and the Egyptians. If you are fighting over large areas you need to know where your enemy is. One of the reasons that Lee got into trouble at Gettysburg is that his “find em” folks, Jeb Stuart’s Calvary were off galloping over the country side, while the Union Army was picking the ground and taking the high points. Lee believed that since he had found them and they were there in front of them and they were fixed, he needed to fight them and the rest, as they say is history. Siege work is a bit different. You already know where the enemy is and so you surround and invest until hunger or disease does the work for you. If you are investing an enemy in a fortress who also have a mobile force wandering around that you cannot find, siege work can be devastating. To be trying to get into a fortress and be attacked from behind by another army is catastrophic. One of the more interesting and compelling stories of siege warfare involving even psychological warfare is Sennacherib’s investment of Jerusalem. You can read the psychological part in 2 Kings 18;26-27 (warning – you may need a strong stomach). Most know about the defeat of that great army that had surrounded Jerusalem and it reminds me of the hymn “Christ is the Worlds Redeemer”. The army of God’s enemy who surrounds us is itself surrounded by the army of God and defeated. ‘The Destruction of Sennacherib’, Lord Byron.